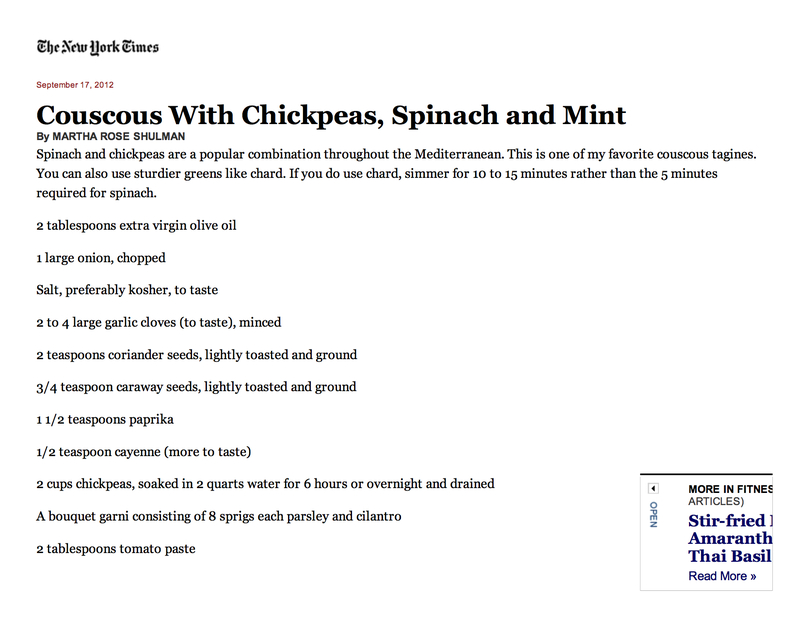 Sometime back this recipe was featured in the New York Times. It looked so tempting that I had to give it a try, and I must admit it turned out to be pretty darn good. The combination of spinach and chickpeas is very unusual which made me all the more curious to test it myself. To my amazement, they blended so well and the addition of spinach added a flavorful punch to the overall recipe. 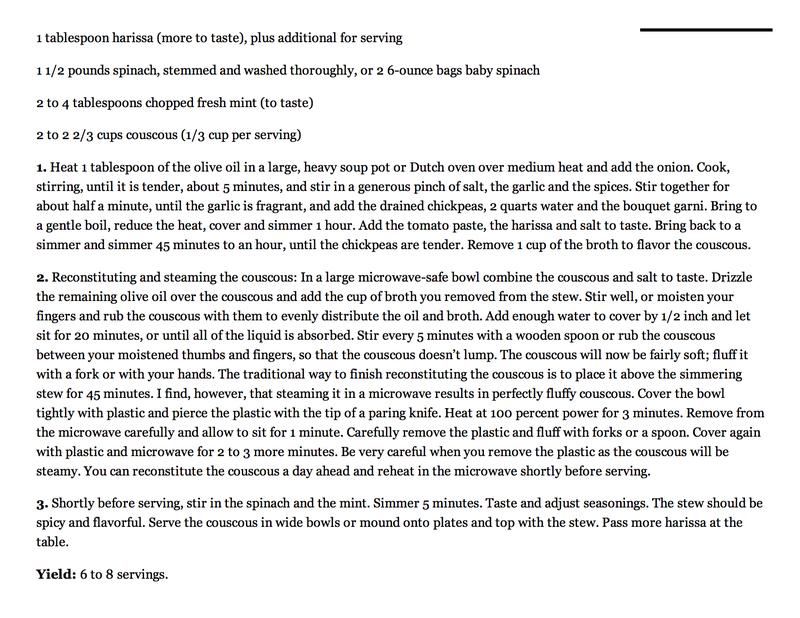 This recipe goes well with couscous but tastes equally good with naan or rice. For all those health conscious people, this dish is a very good substitute for salads because not only it is so filling, it’s highly nutritious as well. 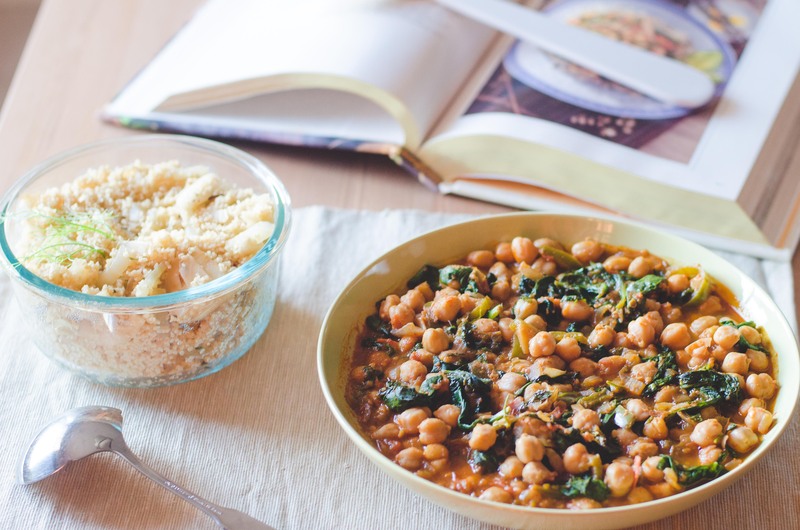 This entry was posted in FOOD, indian, Recipes, vegan and tagged chickpeas, couscous, dinner, FOOD, healthy, mediterranean, protein, RECIPE, spinach. Bookmark the permalink.